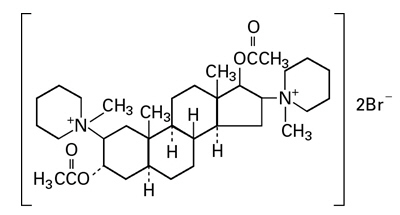 Pancuronium Bromide is a nondepolarizing neuromuscular blocking agent chemically designated as the aminosteroid 2Î², 16Î² - dipiperidino-5Î±-androstane-3Î±, 17-Î² diol diacetate dimethobromide, C35H60Br2N2O4. It is a fine white odorless powder which is soluble in water, alcohol and chloroform. Pancuronium Bromide Injection, USP is available in sterile, isotonic, nonpyrogenic solution for injection. Each mL contains pancuronium bromide 1 mg; sodium acetate, anhydrous 1.2 mg; benzyl alcohol 10 mg as preservative. Sodium chloride added to adjust tonicity. May contain acetic acid and/or sodium hydroxide for pH adjustment. pH is 4.0 (3.8 to 4.2). Pancuronium bromide is a nondepolarizing neuromuscular blocking agent possessing all of the characteristic pharmacological actions of this class of drugs (curariform). It acts by competing for cholinergic receptors at the motor end-plate. The antagonism to acetylcholine is inhibited; and neuromuscular block is reversed by anticholinesterase agents such as pyridostigmine, neostigmine, and edrophonium. Pancuronium bromide is approximately 1/3 less potent than vecuronium and approximately 5 times as potent as d-tubocurarine: the duration of neuromuscular blockage produced by pancuronium bromide is longer than that of vecuronium at initially equipotent doses. The ED95 (dose required to produce 95% suppression of muscle twitch response) is approximately 0.05 mg/kg under balanced anesthesia and 0.03 mg/kg under halothane anesthesia. These doses produce effective skeletal muscle relaxation (as judged by time from maximum effect to 25% recovery of control twitch height) for approximately 22 minutes; the duration from injection to 90% recovery of control twitch height is approximately 65 minutes. The intubating dose of 0.1 mg/kg (balanced anesthesia) will effectively abolish twitch response within approximately 4 minutes; time from injection to 25% recovery from this dose is approximately 100 minutes. Supplemental doses to maintain muscle relaxation slightly increase the magnitude of block and significantly increase the duration of block. The use of a peripheral nerve stimulator is of benefit in assessing the degree of neuromuscular blockade. The most characteristic circulatory effects of pancuronium, studied under halothane anesthesia, are a moderate rise in heart rate, mean arterial pressure and cardiac output; systemic vascular resistance is not changed significantly, and central venous pressure may fall slightly. The heart rate rise is inversely related to the rate immediately before administration of pancuronium, is blocked by prior administration of atropine, and appears unrelated to the concentration of halothane or dose of pancuronium. Data on histamine assays and available clinical experience indicate that hypersensitivity reactions such as bronchospasm, flushing, redness, hypotension, tachycardia, and other reactions commonly associated with histamine release are rare. (See ADVERSE REACTIONS). The elimination half-life of pancuronium has been reported to range between 89â€“161 minutes. The volume of distribution ranges from 241â€“280 mL/kg; and plasma clearance is approximately 1.1â€“1.9 mL/minute/kg. Approximately 40% of the total dose of pancuronium has been recovered in urine as unchanged pancuronium and its metabolites while approximately 11% has been recovered in bile. As much as 25% of an injected dose may be recovered as 3-hydroxy metabolite, which is half as potent a blocking agent as pancuronium. Less than 5% of the injected dose is recovered as 17-hydroxy metabolite and 3,17-dihydroxy metabolite, which have been judged to be approximately 50 times less potent than pancuronium. Pancuronium exhibits strong binding to gamma globulin and moderate binding to albumin. Approximately 13% is unbound to plasma protein. In patients with cirrhosis the volume of distribution is increased by approximately 50%, the plasma clearance is decreased by approximately 22%, and the elimination half-life is doubled. Similar results were noted in patients with biliary obstruction, except that plasma clearance was less than half the normal rate. The initial total dose to achieve adequate relaxation may, thus, be high in patients with hepatic and/or biliary tract dysfunction, while the duration of action is greater than usual. The elimination half-life is doubled, and the plasma clearance is reduced by approximately 60% in patients with renal failure. The volume of distribution is variable, and in some cases elevated. The rate of recovery of neuromuscular blockade, as determined by peripheral nerve stimulation is variable and sometimes very much slower than normal. Pancuronium bromide is indicated as an adjunct to general anesthesia to facilitate tracheal intubation and to provide skeletal muscle relaxation during surgery or mechanical ventilation. Pancuronium Bromide Injection, USP is contraindicated in patients known to be hypersensitive to the drug. 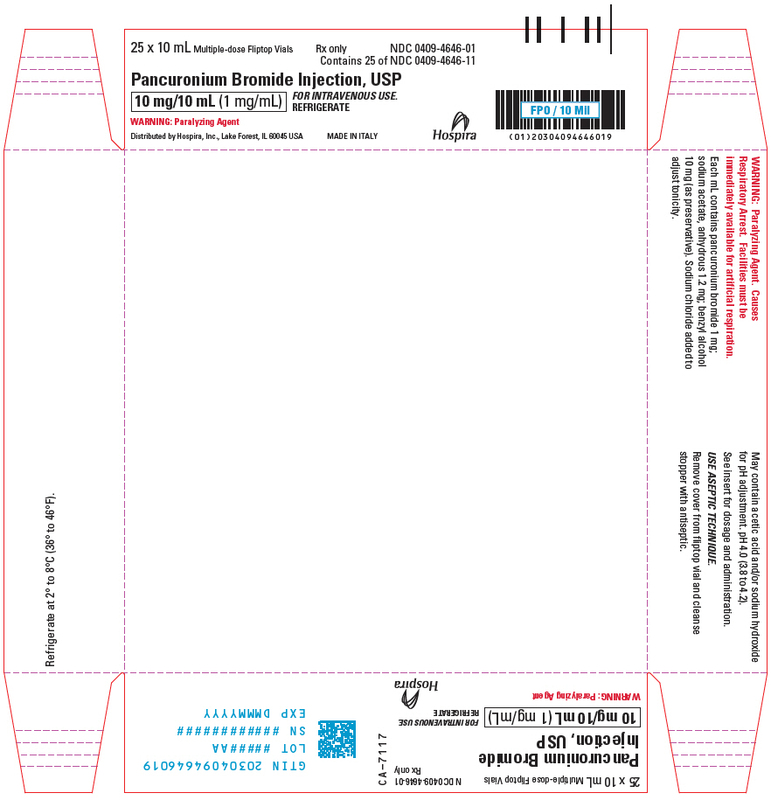 PANCURONIUM BROMIDE INJECTION, USP SHOULD BE ADMINISTERED IN CAREFULLY ADJUSTED DOSES BY OR UNDER THE SUPERVISION OF EXPERIENCED CLINICIANS WHO ARE FAMILIAR WITH ITS ACTIONS AND THE POSSIBLE COMPLICATIONS THAT MIGHT OCCUR FOLLOWING ITS USE. THE DRUG SHOULD NOT BE ADMINISTERED UNLESS FACILITIES FOR INTUBATION, ARTIFICIAL RESPIRATION, OXYGEN THERAPY, AND REVERSAL AGENTS ARE IMMEDIATELY AVAILABLE. THE CLINICIAN MUST BE PREPARED TO ASSIST OR CONTROL RESPIRATION. Severe anaphylactic reactions to neuromuscular blocking agents, including pancuronium bromide, have been reported. These reactions have in some cases been life-threatening and fatal. Due to the potential severity of these reactions, the necessary precautions, such as the immediate availability of appropriate emergency treatment, should be taken. Precautions should be taken in those individuals who have had previous anaphylactic reactions to other neuromuscular blocking agents since cross-reactivity between neuromuscular blocking agents, both depolarizing and non-depolarizing, has been reported in this class of drugs. Benzyl alcohol has been reported to be associated with a fatal "gasping syndrome" in premature infants. Exposure to excessive amounts of benzyl alcohol has been associated with toxicity (hypotension, metabolic acidosis), particularly in neonates, and an increased incidence of kernicterus, particularly in small preterm infants. There have been rare reports of deaths, primarily in preterm infants, associated with exposure to excessive amounts of benzyl alcohol. The amount of benzyl alcohol from medications is usually considered negligible compared to those received in flush solutions containing benzyl alcohol. Administration of high dosages of medications (including pancuronium) containing this preservative must take into account the total amount of benzyl alcohol administered. The recommended dosage range of pancuronium bromide for preterm and term infants includes amounts of benzyl alcohol well below that associated with toxicity; however, the amount of benzyl alcohol at which toxicity may occur is not known. If the patient requires more than the recommended dosages or other medications containing this preservative, the practitioner must consider the daily metabolic load of benzyl alcohol from these combined sources. Administration of pancuronium bromide results in paralysis, which may lead to respiratory arrest and death; this progression may be more likely to occur in a patient for whom it is not intended. Confirm proper selection of intended product and avoid confusion with other injectable solutions that are present in critical care and other clinical settings. If another healthcare provider is administering the product, ensure that the intended dose is clearly labeled and communicated. Although Pancuronium Bromide Injection, USP has been used successfully in many patients with pre-existing pulmonary, hepatic, or renal disease, caution should be exercised in these situations. Since allergic cross-reactivity has been reported in this class, request information from your patients about previous anaphylactic reactions to other neuromuscular blocking agents. In addition, inform your patients that severe anaphylactic reactions to neuromuscular blocking agents, including pancuronium bromide have been reported. A major portion of pancuronium, as well as an active metabolite, are recovered in urine. The elimination half-life is doubled and the plasma clearance is reduced in patients with renal failure; at the same time, the rate of recovery of neuromuscular blockade is variable and sometimes very much slower than normal (see Pharmacokinetics). This information should be taken into consideration if pancuronium is selected, for other reasons, to be used in a patient with renal failure. The doubled elimination half-life and reduced plasma clearance determined in patients with hepatic and/or biliary tract disease, as well as limited data showing that recovery time is prolonged an average of 65% in patients with biliary tract obstruction, suggests that prolongation of neuromuscular blockade may occur. At the same time, these conditions are characterized by an approximately 50% increase in volume of distribution of pancuronium, suggesting that the total initial dose to achieve adequate relaxation may in some cases be high. The possibility of slower onset, higher total dosage and prolongation of neuromuscular blockade must be taken into consideration when pancuronium is used in these patients. (See also Pharmacokinetics). In the intensive care unit, in rare cases, long-term use of neuromuscular blocking drugs to facilitate mechanical ventilation may be associated with prolonged paralysis and/or skeletal muscle weakness that may be first noted during attempts to wean such patients from the ventilator. Typically, such patients receive other drugs such as broad spectrum antibiotics, narcotics and/or steroids and may have electrolyte imbalance and diseases which lead to electrolyte imbalance, hypoxic episodes of varying duration, acid-base imbalance, and extreme debilitation, any of which may enhance the actions of a neuromuscular blocking agent. Additionally, patients immobilized for extended periods frequently develop symptoms consistent with disuse muscle atrophy. Therefore, when there is a need for long-term mechanical ventilation, the benefits-to-risk ratio of neuromuscular blockade must be considered. 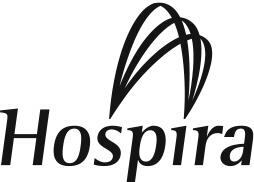 Continuous infusion or intermittent bolus dosing to support mechanical ventilation has not been studied sufficiently to support dosage recommendations. UNDER THE ABOVE CONDITIONS, APPROPRIATE MONITORING, SUCH AS USE OF A PERIPHERAL NERVE STIMULATOR, TO ASSESS THE DEGREE OF NEUROMUSCULAR BLOCKADE, MAY PRECLUDE INADVERTENT EXCESS DOSING. Patients with severe obesity or neuromuscular disease may pose airway and/or ventilatory problems requiring special care before, during, and after the use of neuromuscular blocking agents such as pancuronium bromide. Pancuronium bromide has no known effect on consciousness, the pain threshold or cerebration. Administration should be accompanied by adequate anesthesia or sedation. Prior administration of succinylcholine may enhance the neuromuscular blocking effect of pancuronium and increase its duration of action. If succinylcholine is used before pancuronium bromide, the administration of pancuronium bromide should be delayed until the patient starts recovering from succinylcholine-induced neuromuscular blockade. If a small dose of pancuronium bromide is given at least 3 minutes prior to the administration of succinylcholine, in order to reduce the incidence and intensity of succinylcholine-induced fasciculations, this dose may induce a degree of neuromuscular block sufficient to cause respiratory depression in some patients. Other nondepolarizing neuromuscular blocking agents (vecuronium, atracurium, d-tubocurarine, metocurine, and gallamine) behave in a clinically similar fashion to pancuronium bromide. The combination of pancuronium bromide-metocurine and pancuronium bromide-d-tubocurarine are significantly more potent than the additive effects of each of the individual drugs given alone, however, the duration of blockade of these combinations is not prolonged. There are insufficient data to support concomitant use of pancuronium and the other three above mentioned muscle relaxants in the same patient. Use of volatile inhalational anesthetics such as enflurane, isoflurane, and halothane with pancuronium bromide will enhance neuromuscular blockade. Potentiation is most prominent with use of enflurane and isoflurane. With the above agents, the intubating dose of pancuronium bromide may be the same as with balanced anesthesia unless the inhalational anesthetic has been administered for a sufficient time at a sufficient dose to have reached clinical equilibrium. The relatively long duration of action of pancuronium should be taken into consideration when the drug is selected for intubation in these circumstances. Clinical experience and animal experiments suggest that pancuronium should be given with caution to patients receiving chronic tricyclic antidepressant therapy who are anesthetized with halothane because severe ventricular arrhythmias may result from this combination. The severity of the arrhythmias appear in part related to the dose of pancuronium. Parenteral/intraperitoneal administration of high doses of certain antibiotics may intensify or produce neuromuscular block on their own. The following antibiotics have been associated with various degrees of paralysis: aminoglycosides (such as neomycin, streptomycin, kanamycin, gentamicin, and dihydrostreptomycin); tetracyclines; bacitracin; polymyxin B; colistin; and sodium colistimethate. If these or other newly introduced antibiotics are used preoperatively or in conjunction with pancuronium bromide, unexpected prolongation of neuromuscular block should be considered a possibility. Experience concerning injection of quinidine during recovery from use of other muscle relaxants suggests that recurrent paralysis may occur. This possibility must also be considered for pancuronium bromide. Animal reproduction studies have not been performed. It is not known whether pancuronium bromide can cause fetal harm when administered to a pregnant woman or can affect reproduction capacity. Pancuronium bromide should be given to a pregnant woman only if the administering clinician decides that the benefits outweigh the risks. Pancuronium bromide may be used in operative obstetrics (Caesarean Section), but reversal of pancuronium may be unsatisfactory in patients receiving magnesium sulfate for toxemia of pregnancy because magnesium salts enhance neuromuscular blockade. Dosage should usually be reduced, as indicated, in such cases. It is also recommended that the interval between use of pancuronium and delivery be reasonably short to avoid clinically significant placental transfer. Dose response studies in children indicate that, with the exception of neonates, dosage requirements are the same as for adults. Neonates are especially sensitive to nondepolarizing neuromuscular blocking agents, such as pancuronium bromide, during the first month of life. It is recommended that a test dose of 0.02 mg/kg be given first in this group to measure responsiveness. The prolonged use of pancuronium bromide for the management of neonates undergoing mechanical ventilation has been associated in rare cases with severe skeletal muscle weakness that may first be noted during attempts to wean such patients from the ventilator; such patients usually receive other drugs such as antibiotics which may enhance neuromuscular blockade. Microscopic changes consistent with disuse atrophy have been noted at autopsy. Although a cause-and-effect relationship has not been established, the benefits-to-risk ratio must be considered when there is a need for neuromuscular blockade to facilitate long-term mechanical ventilation of neonates. Rare cases of unexplained, clinically significant methemoglobinemia have been reported in premature neonates undergoing emergency anesthesia and surgery which included combined use of pancuronium, fentanyl and atropine. A direct cause-and-effect relationship between the combined use of these drugs and the reported cases of methemoglobinemia has not been established. The most frequent adverse reaction to nondepolarizing blocking agents as a class consists of an extension of the drug's pharmacological action beyond the time period needed. This may vary from skeletal muscle weakness to profound and prolonged skeletal muscle paralysis resulting in respiratory insufficiency or apnea. (See PRECAUTIONS: Pediatric Use). Inadequate reversal of the neuromuscular blockade is possible with pancuronium bromide as with all curariform drugs. These adverse experiences are managed by manual or mechanical ventilation until recovery is judged adequate. An occasional transient rash is noted accompanying the use of pancuronium bromide. Although histamine release is not a characteristic action of pancuronium bromide, rare hypersensitivity reactions such as bronchospasm, flushing, redness, hypotension, tachycardia and other reactions possibly mediated by histamine release have been reported. There have been post-marketing reports of severe allergic reactions (anaphylactic and anaphylactoid reactions) associated with use of neuromuscular blocking agents, including pancuronium bromide. These reactions, in some cases, have been life threatening and fatal. Because these reactions were reported voluntarily from a population of uncertain size, it is not possible to reliably estimate their frequency (see WARNINGS and PRECAUTIONS). Excessive doses of pancuronium bromide can be expected to produce enhanced pharmacological effects. Residual neuromuscular blockade beyond the time period needed may occur with pancuronium bromide as with other neuromuscular blockers. This may be manifested by skeletal muscle weakness, decreased respiratory reserve, low tidal volume, or apnea. A peripheral nerve stimulator may be used to assess the degree of residual neuromuscular blockade and help to differentiate residual neuromuscular blockade from other causes of decreased respiratory reserve. Pyridostigmine bromide, neostigmine, or edrophonium, in conjunction with atropine or glycopyrrolate, will usually antagonize the skeletal muscle relaxant action of pancuronium bromide. Satisfactory reversal can be judged by adequacy of skeletal muscle tone and by adequacy of respiration. A peripheral nerve stimulator may also be used to monitor restoration of twitch response. Pancuronium Bromide Injection, USP is for intravenous use only. This drug should be administered by or under the supervision of experienced clinicians familiar with the use of neuromuscular blocking agents. DOSAGE MUST BE INDIVIDUALIZED IN EACH CASE. The dosage information which follows is derived from studies based upon units of drug per unit of body weight and is intended to serve as a guide only. Since potent inhalational anesthetics or prior use of succinylcholine may enhance the intensity and duration of pancuronium bromide (see PRECAUTIONS: Drug Interactions), the lower end of the recommended initial dosage range may suffice when pancuronium bromide is first used after intubation with succinylcholine and/or after maintenance doses of volatile liquid inhalational anesthetics are started. To obtain maximum clinical benefits of Pancuronium Bromide Injection, USP and to minimize the possibility of overdosage, the monitoring of muscle twitch response to a peripheral nerve stimulator is advised. If Pancuronium Bromide Injection, USP is used to provide skeletal muscle relaxation for endotracheal intubation, a bolus dose of 0.06 to 0.1 mg/kg is recommended. Conditions satisfactory for intubation are usually present within 2 to 3 minutes (see PRECAUTIONS). Dose response studies in children indicate that, with the exception of neonates, dosage requirements are the same as for adults. Neonates are especially sensitive to nondepolarizing neuromuscular blocking agents, such as Pancuronium Bromide Injection, USP, during the first month of life. It is recommended that a test dose of 0.02 mg/kg be given first in this group to measure responsiveness. When mixed with the above solutions in glass or plastic containers, Pancuronium Bromide Injection, USP will remain stable in solution for 48 hours with no alteration in potency or pH; no decomposition is observed and there is no absorption to either the glass or plastic container. Accidental administration of neuromuscular blocking agents may be fatal. Store pancuronium bromide with the cap and ferrule intact and in a manner that minimizes the possibility of selecting the wrong product. Store in refrigerator 2° to 8°C (36° to 46°F). The 10 mL vial will maintain full clinical potency for up to six months at room temperature.